|| Don't forget about the Nordstrom Anniversary Sale! It ends on Sunday! All prices go back up after that. Here are my favorite picks. || Great article on the 50 decorating tips of all time. || This top has made it home to me...it is SO DARN CUTE!! I'm really enjoying that ruffles are in and am taking full advantage. || These gold cutting knives from Target are everything. Imagine how fabulous they look on your kitchen top! || We might try these summer pizzas with the pesto I mentioned. 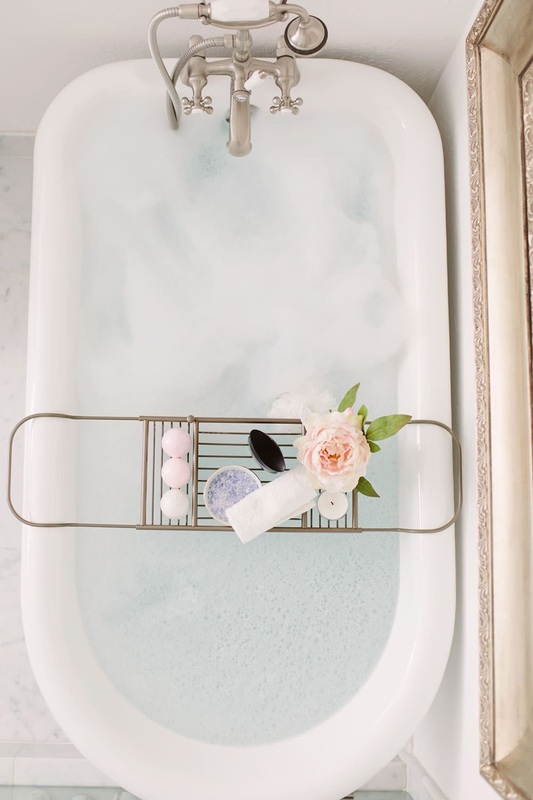 The bath looks heavenly and love all of the links. Can't get over the knife set from Target - amazing! Happy weekend!